1) So this beer is one I helped Sam Calagione from Dogfish Head brew. And when I say I helped him brew it, I mean “poured a sack of stuff he gave me into the fermenter”. And that’s pretty much the sum total of my involvement with this beer. 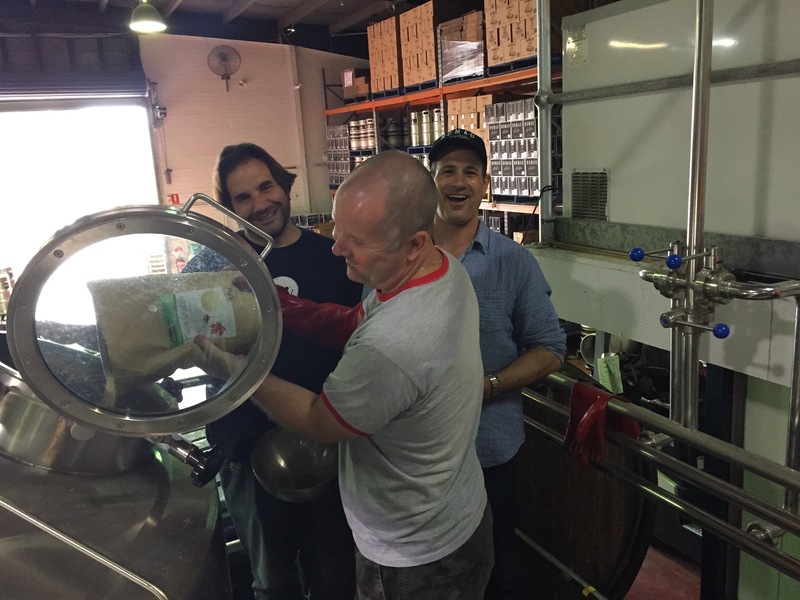 Which is okay with me – it’s only the second commercial brew I’ve had a hand in and to do it with that guy from Dogfish Head is cool. 2) As evidence that I’m not telling porkies, here’s a photo of me pouring in some maple crystals (while wearing an ultra-rare Beer Is Your Friend blog t-shirt). 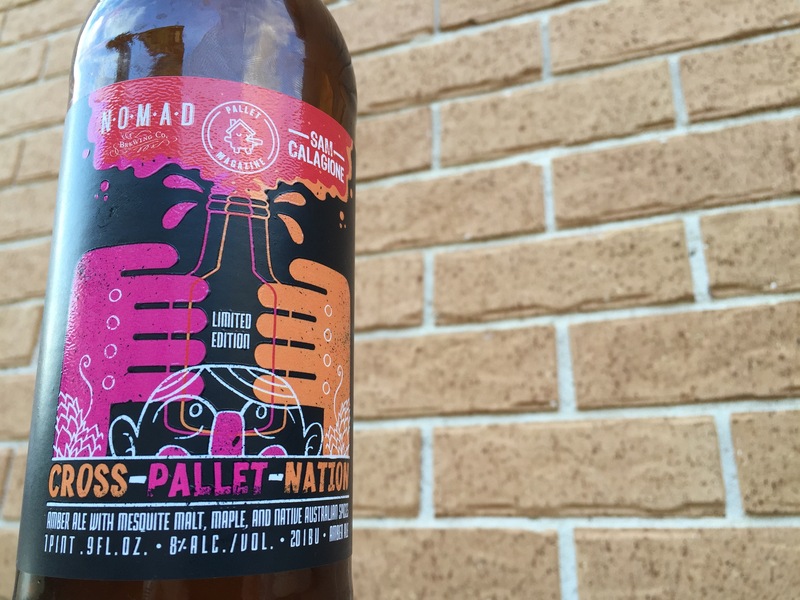 3) The beer label says it was “created from the cross-pollination of ideas between the Nomad crew, Pallet magazine (along with some of their subscribers) and Sam Calagione of Dogfish Head.” I was involved because of that bit in brackets. As a subscriber of Pallet, I was one of a number chosen to head up to Nomad’s brewery in Brookvale to meet Sam and make the beer. Which was quite a surprise as I’m one of those people who never win anything. 4) Having been involved in this beer, I’m probably a bit biased, but as soon as I knew it was released I ran out to my local bottlo to grab a few. While, I knew it was an amber ale, it still poured darker than I’d expected. The dominant taste at the front is a smokiness, which comes from the smoked mesquite malt. Laying underneath that and poking its head up from the mid-palate onwards is the sweetness from the maple crystals. The beer also includes Australian spices wattles wed and fingerlime, but I’m not familiar with their flavours so I couldn’t find them in the beer. All-up it’s a good beer for autumn, when the weather is getting a bit cooler. 5) A day or so before I bought the beer someone posted a photo of the label on social media. They suggested it sorta kinda looks like a man pleasuring himself. (Though others have seen something worse than that in the label). I think it’s the spurts coming out of the top that does it. But since I read that post, it’s an image I now cannot unsee. Sorry if you’re now the same way.